Tinkerbackers and Shantaerians, we did it! 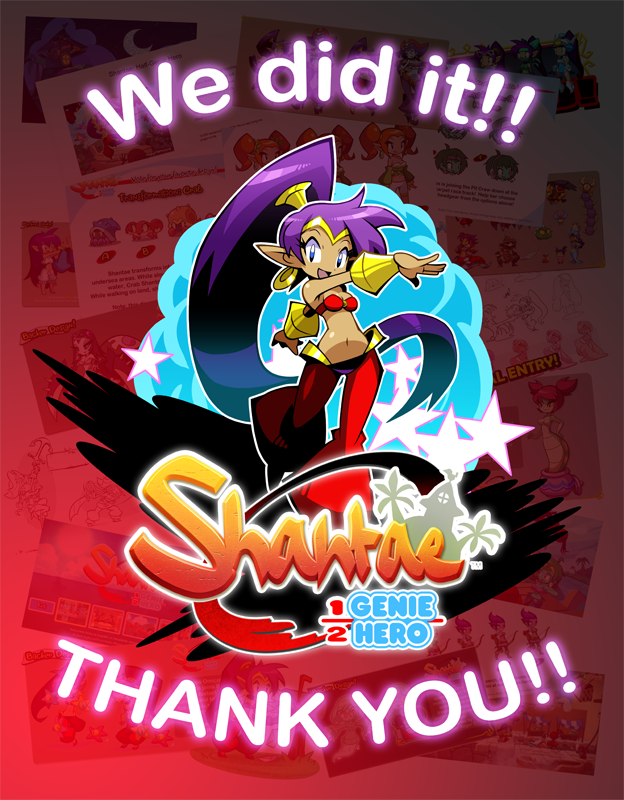 We’re excited beyond human comprehension to tell you the news… Shantae: Half-Genie Hero is done! Did you hear that correctly?! We know, right? It’s crazy! Wow!!! Update #88 Choosing Release Dates and Last Calls! We hope you all had a relaxing summer and are ready to get down to business — we’ve got a game to launch! There’s a TON of detail in today’s update – don’t blink or you’ll miss it! Update #86 Release Date Discussion and DLC Plans! 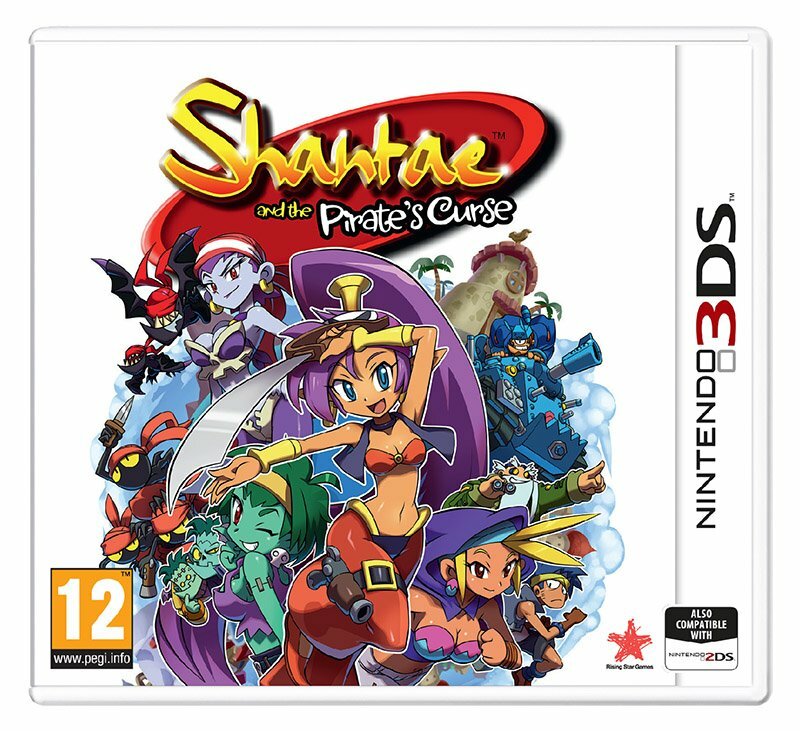 Rising Star Games to Release Shantae and the Pirate’s Curse! It’s true! Rising Star Games is bringing Shantae and the Pirate’s Curse to retail in late September! It will be available in both North America and Europe and will contain some new content! We’re back! The weeks leading up to E3 were incredibly busy, and it’s been a maelstrom of activity over here ever since. Let’s dive into this update and fill you in on the many details surrounding the project! Update #85 Target Dates and Awesome Animators! Rival Genie Vote & New Key Art! An Update of Major Proportions! Hey Backers – We’ve got big, big, BIG surprises for you today! Let’s kick things off with a bang! Up until now, we’ve been using the in-game sprites to represent our box art, or “key art”. But – just like in Pirate’s Curse, the way our sprites look in the game aren’t exactly how they appear close up. At last year’s Tokyo Game Show, Matt began working with Inti Creates and KOU (the same illustrator from Pirate’s Curse) to come up with a distinct visual style for Half-Genie Hero’s key art, and now it’s ready for you to check out! Update #83 Key Art and Backer Votes! Good day loyal backers! It’s been a while since our last update. The reason is WORK! It’s been a madhouse over here as we move ahead at a feverish pace towards our Pre-Alpha goal. We’ve enlisted help from several of our go-to partners from all over the globe to help get the job done. Half-Genie Hero is in production 24 hours a day – literally ‘round the clock! It’s awesome and exhausting at the same time. You’ll Never Guess Who We’ve Got Lined Up For Our Next Adventure! 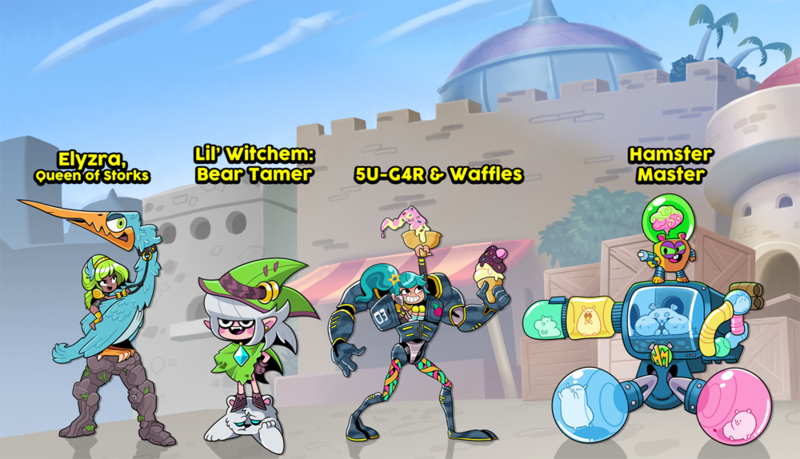 Look at this well rounded crew! Thank you everyone for the laughs today. We hope you had an amazingly fun April Fools! The Last Backer Enemy is in Captivity… the Galaxy is at Peace. Update #81 On the Road to Alpha! Last week, Skullgirls developer Lab Zero announced the inclusion of Shantae in their newest game, Indivisible! 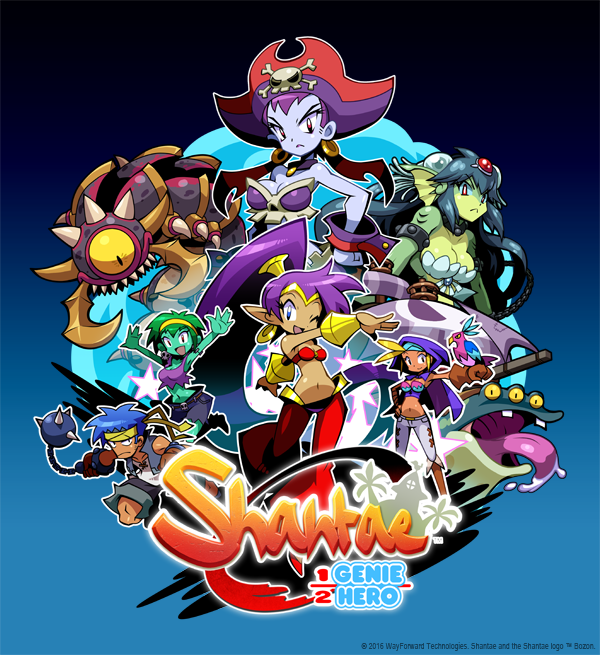 The game looks amazing, and we’re pleased as punch to have Shantae battling alongside Ajna and the rest of this truly inspired cast of heroes! Above you can see an awesome Shantae concept by Lab Zero’ Mariel Cartwright, who you might remember as the animator behind Shantae’s Half-Genie Hero move set way back at the start of our campaign! 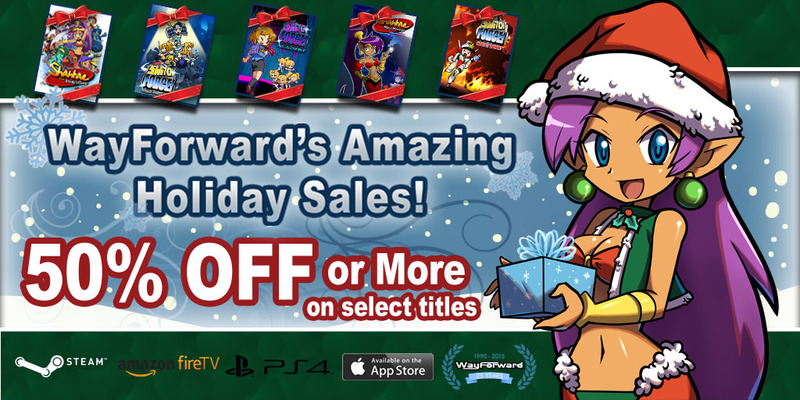 We know there are a bunch of Shantae fans over there helping out, but if you’re hearing about the game for the first time, or just want to know more about Shantae’s cameo, please follow the link below and consider helping them out!